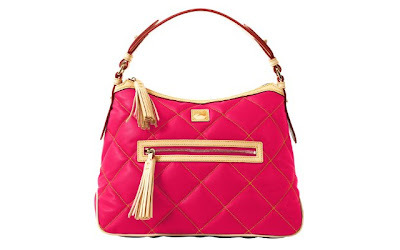 The Dooney & Bourke Quilted Spicy Fabric Sac (in Hot Pink) is currently selling for just $160.00 on Amazon.com! You will be saving 30% off the listed price of $228.00 with this handbag deal. L 14" W 6.5" H 9.5"